This project is a great example that although you do a contest it can have some innovation with it. 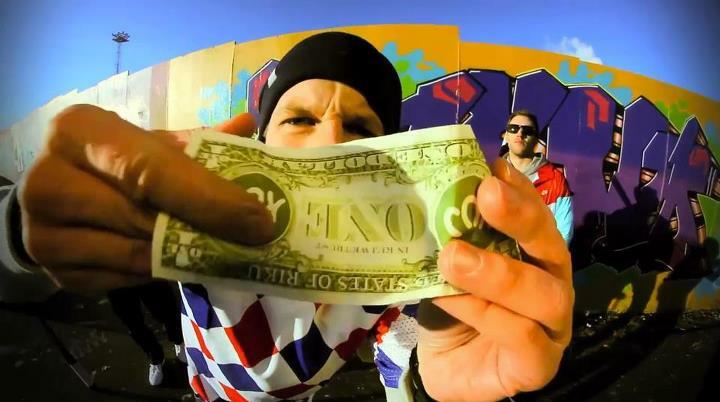 The contest promotes actual product launch. Many headphone brands do bespoken collaboration products and some might also do music contests. Stones Throw & AIAIAI have been one of the best ones creating quite holistic and enjoyable consumer experience from the website to the app. Because of that legendary Charizma line, it also makes perfect sense for headphone brand. 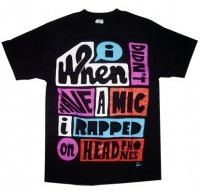 Also a good example that you should mine your good ideas way more often from old underground rap songs. 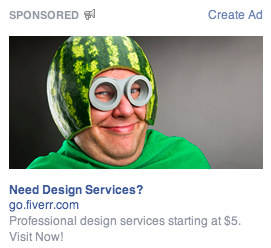 Are you getting design services from guy, who has a watermelon in his head? Or is the watermelon head representing guy who needs design help? I think he definitely needs some kind of professional help, but I would not be worrying about the design. Unless you get some psychiatric advice in addition to the design services, which apparently cost less than a cup of coffee. On the other hand I saw the ad and started to think about it, which is way more than I can say about the majority of FB ads. The challenge with Facebook ads is that you seem to notice only the really weird ads, which you would never click on. When you have small space to work on, it is difficult to get noticed but still be relevant.